Telephone and television points in each room. Outings and day trips for service users and relatives. We have buzzer call alerts in all rooms and bathrooms. Our staffs are specially trained to meet the care needs. Our baths and personal care equipment are fitted with disable needs. Our premises are maintained at very high standard. Visitors and relatives are allowed to visit privately or in lounges at reasonable times. We have a variety of Asian TV (Sky) and radio channels. Magazines, newspapers, crosswords and puzzles. Temple visits twice a week or whenever requested by the service user. Special arrangements on festivals and birthdays. 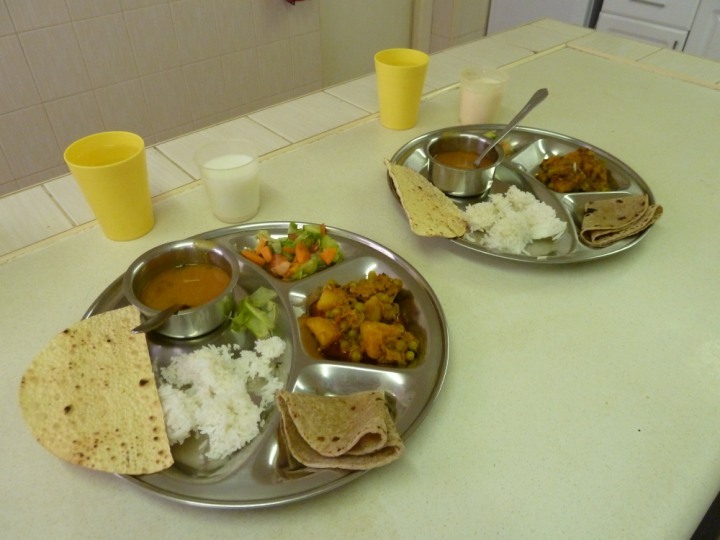 We offer a full Asian vegetarian catering programme and an extensive menu, where meals are not only nutritious, but a variety of dishes are available and the service users can decide on which dishes are to be cooked. All food is prepared and cooked in our fully equipped kitchen. Everyday a breakfast is offered in the morning and lunch, the main meal of the day, is served at approximately 12pm and afternoon tea is served around 5pm. Hot / cold drinks and snacks are offered and made available throughout the day. Alternative dishes and times can be arranged and special arrangements and diets can be made for diabetics and other special needs.